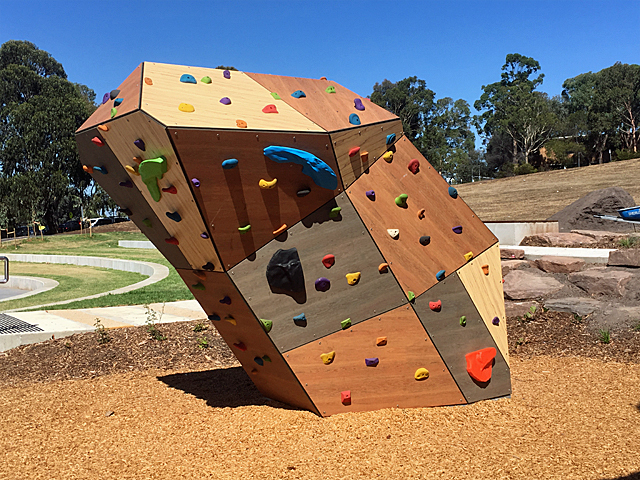 Community space is generally recognised today as being more valuable than ever before, and Moduplay is making the most of these areas. As urban density increases, it is falling on those responsible for scarce outdoor community space to ensure they are providing for the real social activity needs of our children and families. We need places to meet, places to converse, places to create, places to play. 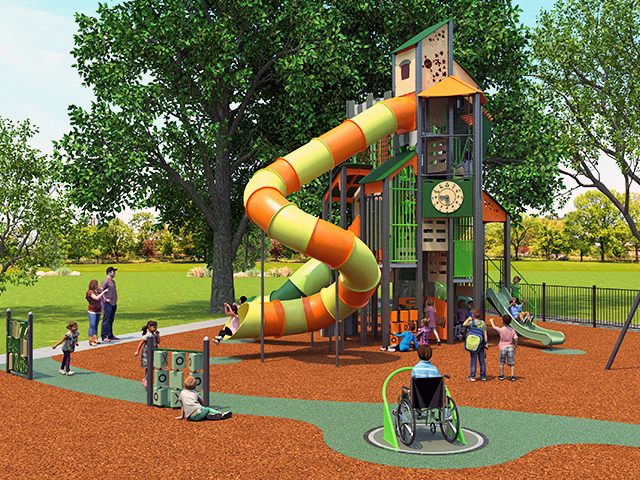 Moduplay’s mission is to truly help community space providers and play area designers by being a valuable partner. 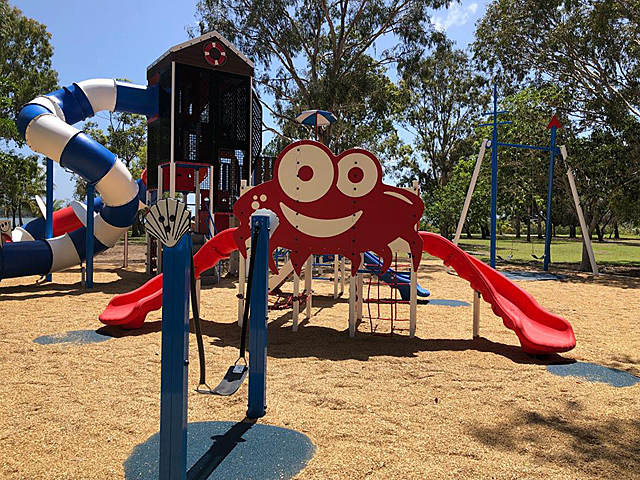 We have 26 ranges of products covering all aspects of play (and the ability to customise to suit your needs) available to designers or builders of play areas. 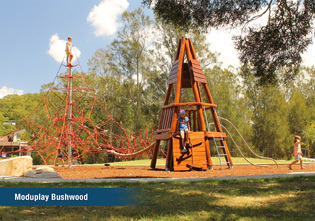 Bushwood is play equipment built from recycled road clearings. 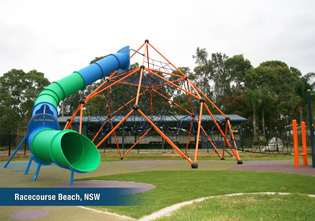 That means eucalypt trees that were going to be mulched are turned into play equipment that will provide value and enjoyment for many years. 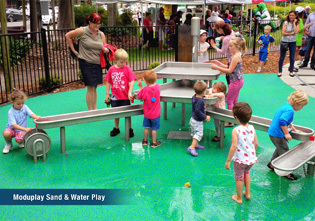 Sand and Water play is amazing. 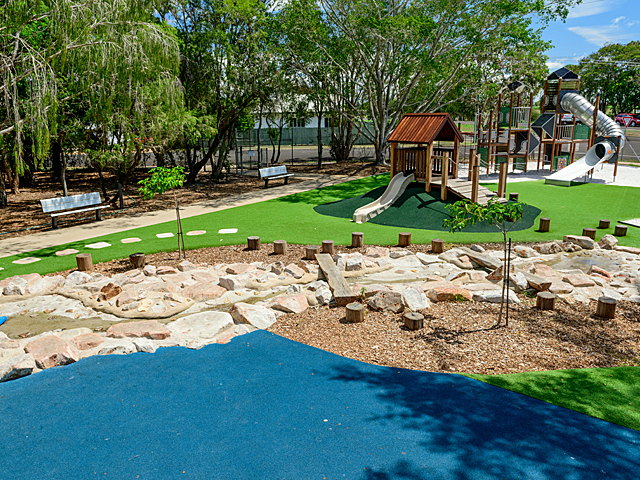 Children instantly connect with the elements and create play sequences that are always different. 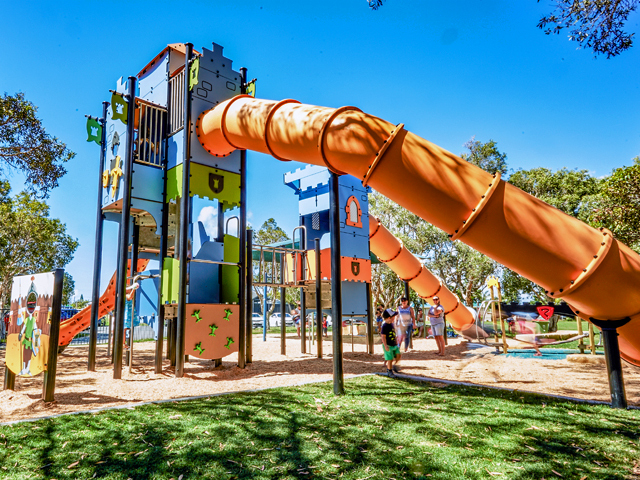 Moduplay takes “standard” rope designs and turns them into amazing play structures like the one at Racecourse Beach, NSW. 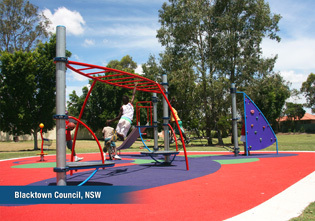 Wildnet Konnecta is shown here at Blacktown Council, NSW (bottom photo). 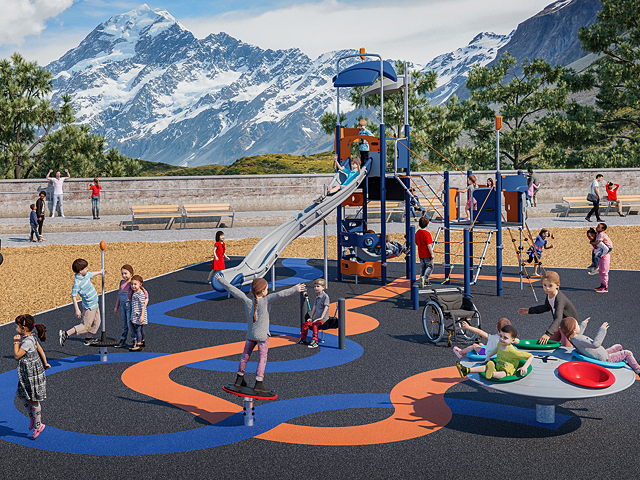 Moduplay’s contemporary designs and traditional continuous play systems still offer the best play value for getting children truly active during play time. 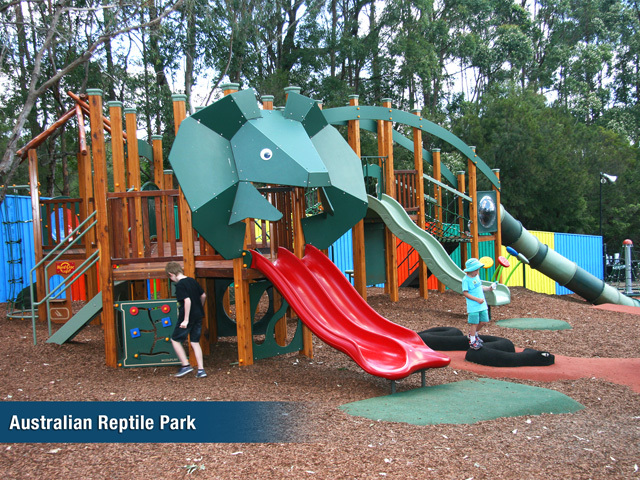 Images (top to bottom): Australian Reptile Park; Bushwood; Sand and Water; Racecourse Beach; and Blacktown Council.